As internet sales rise and mail order continues to enjoy success, you need reliable professionals to satisfy your customers' needs quickly and efficiently. 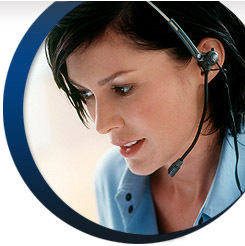 Live telephone answering round the clock by trained experts is available at wetakeyourcalls.co.uk. Our regular hours of 8:30am - 9pm weekdays and 9am - 5pm at weekends may be sufficient. Whatever your needs we have many years experience, not just taking customer orders from a variety of media channels, but also through to fulfilment, packing and posting. Product knowledge is everything for any sales team which is where our operator training starts. Working closely with clients at all stages guarantees successful outcomes for everyone, most importantly your customers. Customer satisfaction is one of TOMY's highest priorities and we have found The Carrier Group to be very professional in their delivery of customer care. If you'd like more information on our telelphone answering services please Contact Us or call Freephone 0800 198 1010.